Amy Karam is a global expansion and competitive strategy consultant, speaker, the author of THE CHINA FACTOR: Leveraging Emerging Business Strategies to Compete, Grow and Win in the New Global Economy and a Fellow at the Canadian Global Affairs Institute. She is also a corporate instructor/lecturer for Stanford University, Duke University and the University of Ottawa. She is a trusted authority on globalization, innovation, competitive strategy and the shifting power dynamics in international business, given the rising strength of China and other emerging nations. She equips companies and governments, including Canada’s federal government, with insights and strategies to successfully navigate the new international trade dynamics, and guides start-ups to Fortune 500 corporations in creating focused, innovative, global expansion strategies. Amy Karam has more than over 25 years of extensive international business experience, 15 years of which were in Silicon Valley. Amy has worked with leading companies such as Apple, Cisco, Visa, Nationwide, CapitalOne, Bell as well as SMEs, and with over 50 countries in emerging and developed markets. In Canada, Amy has presented to the Dept. of Finance China Roundtable on innovation, presented to the Director General at ISED, presented at EDC to SMEs on International Competitiveness and recently was on the Progressive Internationalism panel hosted by the Sixth Estate, headlined by the Minister of International Trade. The intersection of globalization, politics and the way we innovate is intertwined like never before. Practicing these principles, Amy has fostered public-private sector collaboration initiatives with the World Bank, ITU-D United Nations (International Telecommunication Union-Development Sector), Ministers of emerging countries, and the high-tech industry. She also created an initiative to escalate unfair global trade practices to the US Dept. of Commerce, ITA (International Trade Administration) Advocacy Center in Washington DC on behalf of high-tech firms. Amy has been published in magazines such as Forbes, Entrepreneur, The Hill Times and China’s Business Tianjin; has been interviewed by Yahoo Finance, Google, CTV News; and has spoken at companies and conferences around the world. Her TEDx Talk highlights her perspectives on global trade and competitiveness, the need to adapt to the power shift and maintain an Innovation Advantage. She has an International MBA and a Bachelor of Administration, having studied at the University of Ottawa and at McGill University. She also completed the Innovation for Economic Development Program at the Harvard Kennedy School. Maria Barrados is the former President of the Public Service Commission of Canada (2003-2011) and is currently a partner in the consulting firm, Barrados Inc.
From 1993-2003, Maria served as the Assistant Auditor General in the Office of the Auditor General of Canada. She joined the department in 1985 and held a number of management positions. Prior to this, Maria held senior positions in the Education Support Branch of the Secretary of State for the Government of Canada and Atomic Energy of Canada Limited. In addition to serving on the Sprott Advisory Board, Maria also volunteers as Chair of Accreditation Canada International. She is a member of the advisory boards for the Salvation Army, the Confucius Institute at Carleton University and is a member of the Executive of the Rothwell Heights Community Association. She holds a Ph.D in Sociology from Carleton University, as well as her M.A. in Sociology from McGill University and an Honours B.A. in Sociology from the University of Saskatchewan. Ms. Basia Ruta was appointed as an Executive-in-Residence at the Sprott Business School effective February 1, 2016. She assumes this post while also continuing her consulting work which she began in April 2015. Prior to that, Ms. Ruta held various positions in the public sector. 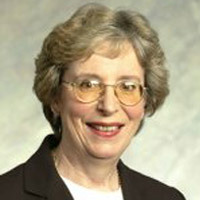 Most recently she was appointed as British Columbia’s first ever Auditor General for Local Government. She held that position from January 2013 to March 2015. From 2006 to 2013, Ms. Ruta was an Assistant Deputy Minister and Chief Financial Officer at Environment Canada. Her work at Environment Canada also included two years on interchange with the then Canadian Institute of Chartered Accountants. Her work at CICA focused on assurance standard setting. Ms. Ruta’s career in the public service is broad and spans over 31 years. She joined the Office of the Auditor General of Canada in 1984 where after 10 years, she achieved the position of Principal, Audit Operations. She led a number of audits addressing public accounts, financial management, risk management, operations, governance, alternative delivery structures and grants and contributions. In 2000, Ms. Ruta became Director General, Corporate Planning, Governance and Balanced Scorecard with the then Canada Customs and Revenue Agency. In the spring of 2003, Ms. Ruta was appointed Acting Deputy Assistant Commissioner, Customs. As part of that role, she oversaw a broad spectrum of border/trade operations which also included leading key components of the transition to the new Canada Border Services Agency. In 2004, Ms. Ruta was appointed Assistant Comptroller General – Internal Audit. Among her key achievements was developing a new Policy on Internal Audit that was viewed as transforming internal audit across government, and leading edge for governments world-wide. Ms. Ruta obtained a Bachelor of Commerce degree (B.Comm. ), Honours (Spec. Accounting) from the University of Ottawa. She is also a member of the Ontario and British Columbia Chartered Professional Accountants. She received her chartered accountant designation in 1983.